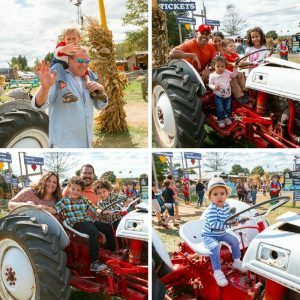 Tractors, and Hay Rides and Minion Pumpkins OH MY! We had our first annual Fall Fest event and man did we have a ball. It was the perfect chilly autumn day @ Cox Farms. 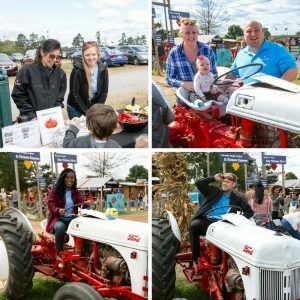 We invited all of our clients, connections, friends and family, out to the pumpkin patch on us!!! We don’t think we’ve seen such cute kids in our lives 🙂 ! Everyone had the chance to win a hand paint minion pumpkin by picking the right toy out of the mystery box! Let’s just say it got super competitive, the little round guys were the talk of the town! Wait it gets better! Before the families entered the farm, we had hot apple cider, tons of candy, good convo, and some tear jerking laughs! The event was a success! Join us next time.